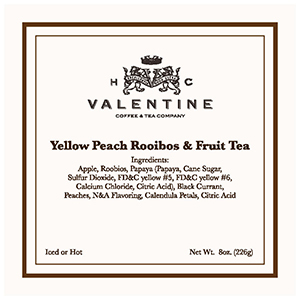 A wonderful blend of peach and South African Rooibos. Great for iced or hot tea and loves a long steep. Fruit infusions, or tisanes, can also be used as a base for fruit cups, punches, sorbets, ice cream, and fruit creams.